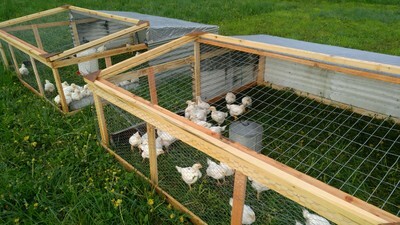 We raise several flocks of meat chicken each season. 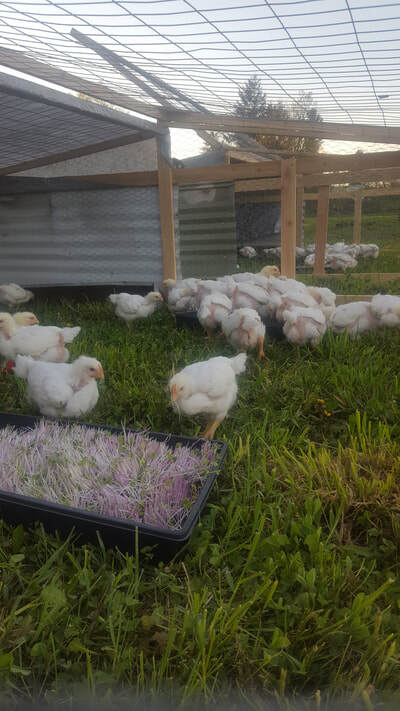 We feed our chickens certified organic non GMO poultry feed and plenty of fresh veggies from the farm. They spend their time in tractors that are moved daily onto fresh pasture for foraging. 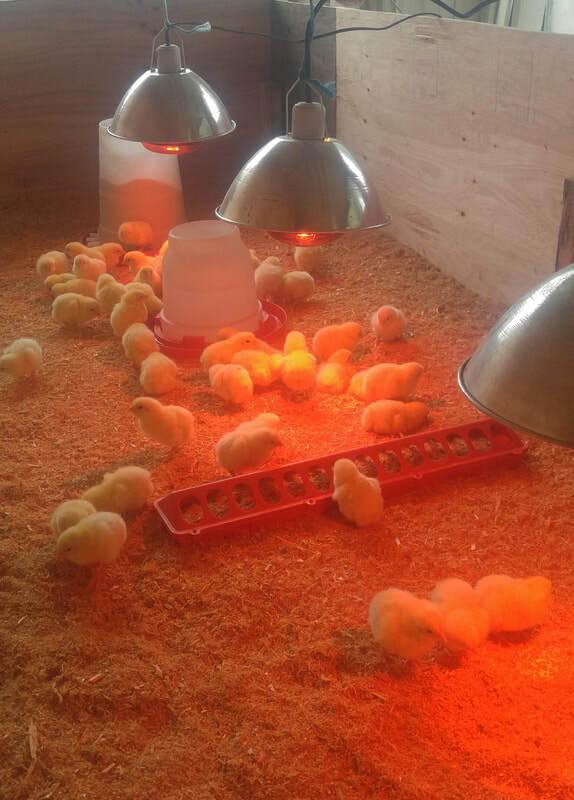 Raising our birds in small flocks allows us to be certain each bird has it's needs met and they are all happy and healthy. We sell our chicken direct to the public at farmers markets - check our news section to find which market is closest to you!